GoXtra News: Coming this weekend! Samsung GALAXY Experience Presents The G&G Live Marquee at the Vodacom Durban July! Coming this weekend! 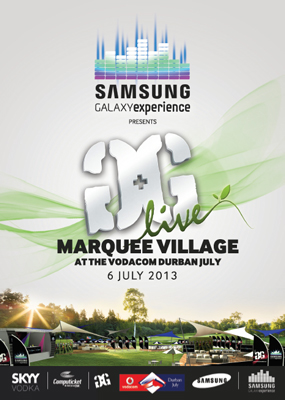 Samsung GALAXY Experience Presents The G&G Live Marquee at the Vodacom Durban July! Glitz, glamour, amazing vibes, sensational outfits and dance-floor antics will be the order of the day on the 6th of July in Durban! The G&G Live Marquee at this year’s Vodacom Durban July, along with the Samsung #GALAXYexperience, is guaranteed to deliver the ultimate in party atmospheres at the prestigious event. Building on the success of their debut daytime tent at last year’s race day, the G&G Live Marquee is not only back, it’s better. Situated between three water hazards on the golf course, it is the most striking of all the tents with chic and comfortable lounges, stylish décor and a winning party vibe. Production and hospitality have been stepped up to new levels, creating a relaxing milieu that doesn’t compromise on buzzing party spirit. 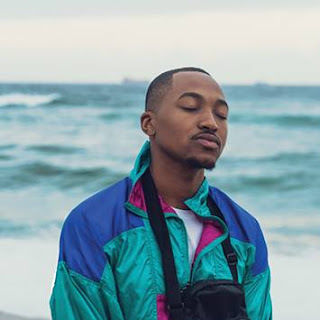 The G&G Live Marquee will offer the discerning race-day goer more than just a little extra as the Samsung #GALAXYexperience continues to deliver on its promise to be at the forefront of the electronic music scene in South Africa. With tickets flying fast, we recommend getting your passport to the hottest and most happening party at the Vodacom Durban July now! There will be no better way to cap off a day of races and celebrating your winnings than with the Samsung #GALAXYexperience at the G&G Live Marquee. A top DJ line-up featuring the likes of DJ Fresh, Roger Goode, Gareth Cliff, Benny Maverick and many more will get your dance on while sipping on a delicious cocktail and partying the day away. Includes: Entry to G&G Live Marquee Village, several bars, food area, totes, smoking lounge, cloak room, chill areas, Samsung Galaxy experience main dance floor and photo areas. Includes: All facilities and benefits available to regular ticket holders. Additional chill area, decks and bars, finger lunch and late afternoon canapés, additional tote facility, separate ablution facilities. Option to buy a private lounge with waiter service. Includes: All facilities and benefits available to regular and VIP ticket holders. Additional chill areas, decks and bars, finger lunch and late afternoon canapés, Additional tote facility, separate ablution facilities, complimentary full bar until 6 pm. Does not include Champagne and top-line premium drinks. Option to buy a private lounge with waiter service in the Skyy Lounge. VIP lounge: R3,000 (excluding tickets). Lounge setup for six people, including waiter service. Can be tailored at an additional R500 per [additional] person. Skyy Vodka lounge: R4,000 (excluding tickets). Lounge set-up for six people, including waiter service. Includes a bottle of Piper Champagne and Skyy 90 Premium Vokda. Can be tailored at an additional R600 per [additional] person. Tickets are for the G&G Live Marquee only. Event attendees will need to purchase their general access ticket to the Vodacom Durban July via the ‘Gold Circle’ precinct. Details at www.vodacomdurbanjuly.co.za. Be responsible. Don’t drink & drive from the G&G Live Marquee and the Vodacom Durban July. Book yourself a BuDDy designated driver. Issued on behalf of G&G Productions by One-eyed Jack.